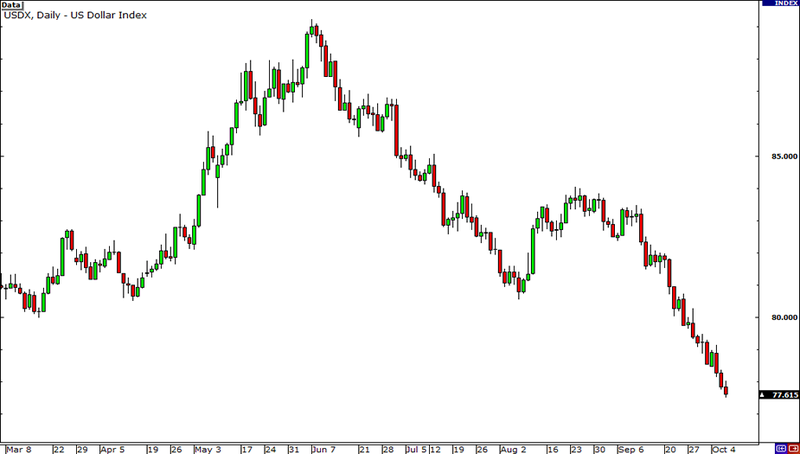 Just like any currency pair, the US Dollar Index (USDX) even has its own chart. First, notice that the index is calculated 24 hours a day, five days a week. Also, the US Dollar Index (USDX) measures the dollar’s general value relative to a base of 100.000. Huh?!? Okay. For example, the current reading says 86.212. This means that the dollar has fallen 13.79% since the start of the index. (86.212 – 100.000). The start of the US Dollar Index is March 1973. This is when the world’s biggest nations met in Washington D.C. and all agreed to allow their currencies to float freely against each. The start of the index is also known as the “base period“. Got that? Good! Now you can get a wedgie from the school bully.